Place the strawberries into a bowl and crush with a fork until smooth. In the meantime, pour the sugar into a second bowl and stir over a pan of warm water until the sugar has dissolved and is syrupy. Squeeze some lemon juice over the crushed strawberry then pour over the sugar syrup and combine. Pour into some serving glasses or popsicles and place in the freezer for 1 hour until just set. 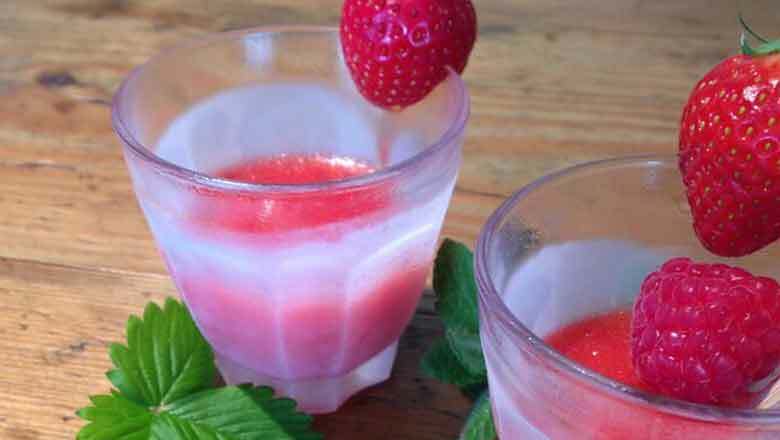 Decorate with some extra strawberry, raspberry and mint and serve immediately.